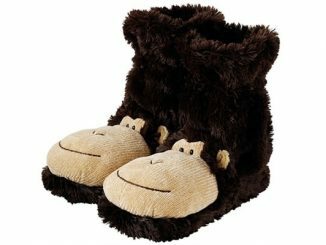 If Big Foot wore brown socks and had a crafty mom, he might’ve wound up with a Giant Sock Monkey like this one. 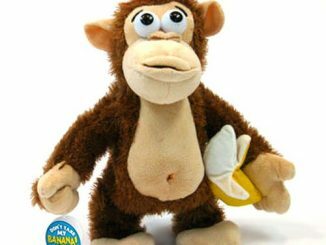 Instead, we humans are the ones who’ve come up with sock monkeys and have since super-sized them. 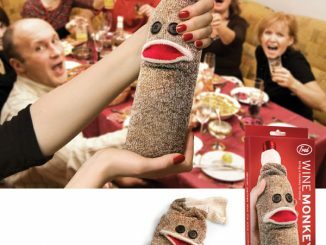 We love how huggable they are with their long, floppy arms and legs, and we love their ready-to-kiss red lips. 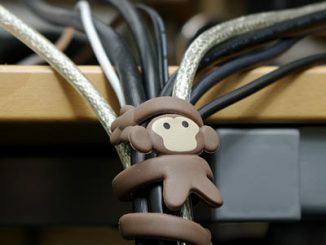 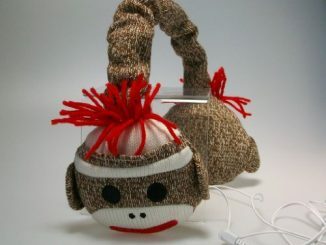 Sock monkeys were originally made out of red-heeled work socks, which explains why the sock monkey’s mouth looks the way it does and has become its trademark, just like Mick Jagger’s. 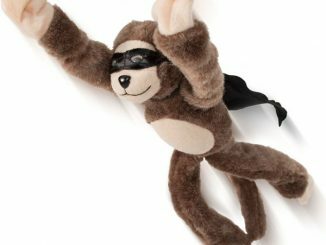 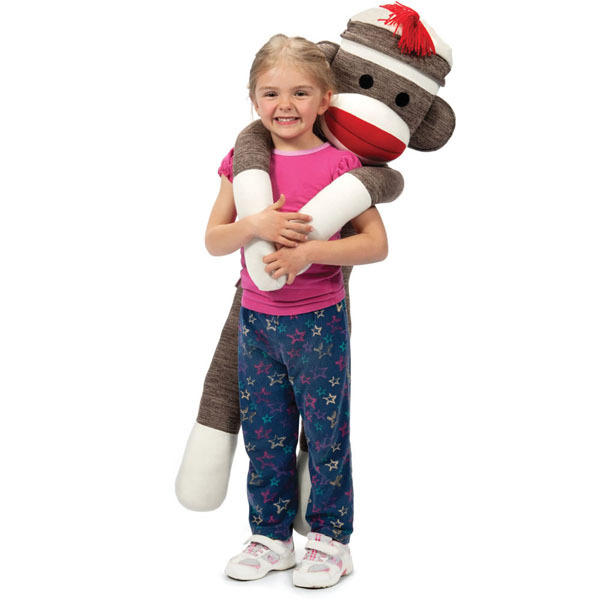 Towering at almost four-feet-tall, this sock monkey will be the first stuffy kids gravitate towards. 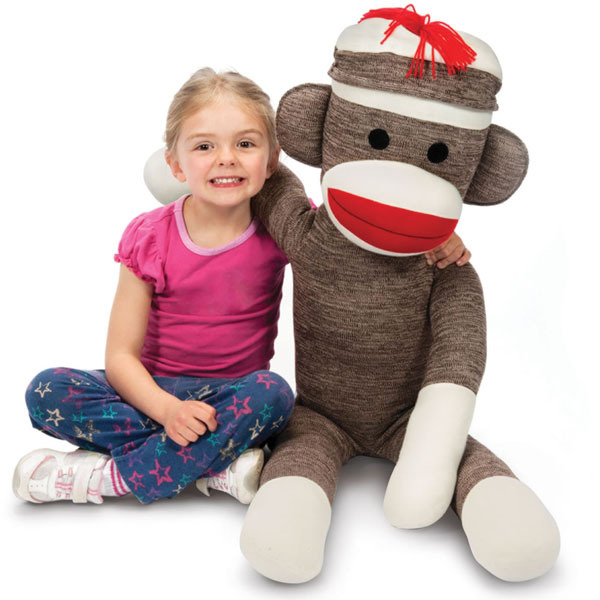 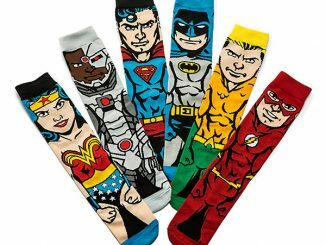 It will be a wonderful source of comfort in a child’s bedroom or playroom, and will sit pretty propped up on a bed. 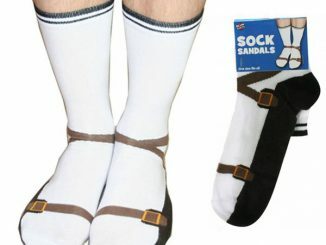 Not to mention, it would double as a cozy nap time pillow. 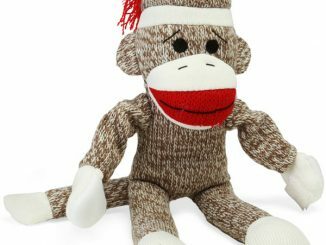 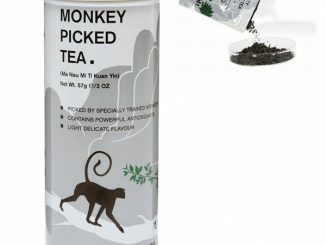 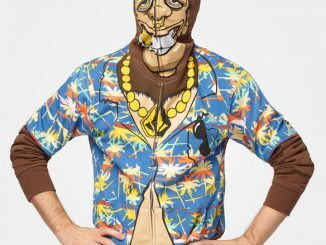 The Giant Sock Monkey is just under $100 at Amazon.com and Hammacher Schlemmer. 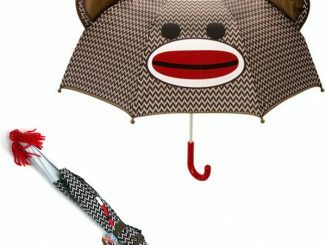 To shelter yourself from rainy fall days, you can carry the Sock Monkey Umbrella.